The Carbon Craft 160 offers flexibility, functionality and high quality luxury appointments. Powered by an efficient 135 hp diesel engine utilizing hydraulic steering and independent controls, the CC160 is incredibly easy to handle. 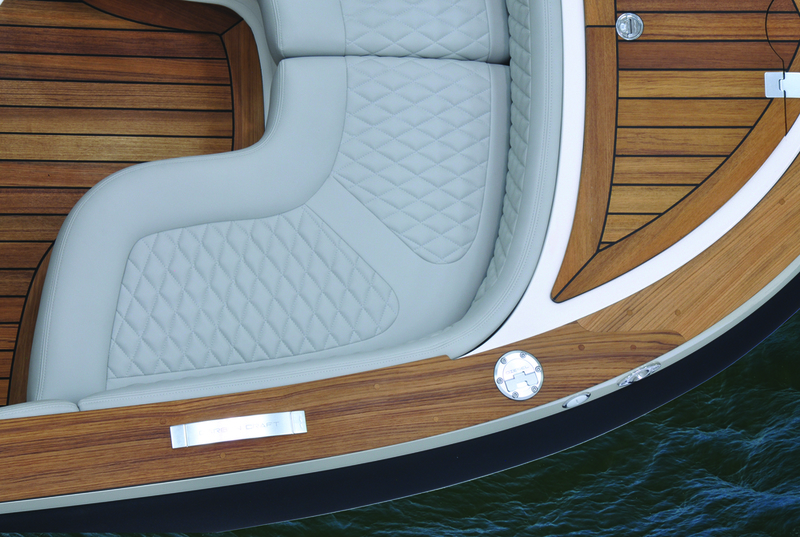 With industry leading seating and storage, it is the perfect fit for your family and your yacht. Powered by an efficient 135 hp diesel engine utilizing hydraulic steering and independent controls, the CC160 is incredibly easy to handle. Boasting two gunwale hatches, two ski lockers, a forward anchor locker, a spacious under seat compartment, and a lockable belongings trunk, the CC160 utilizes space so well, it will change the way you use your tender.